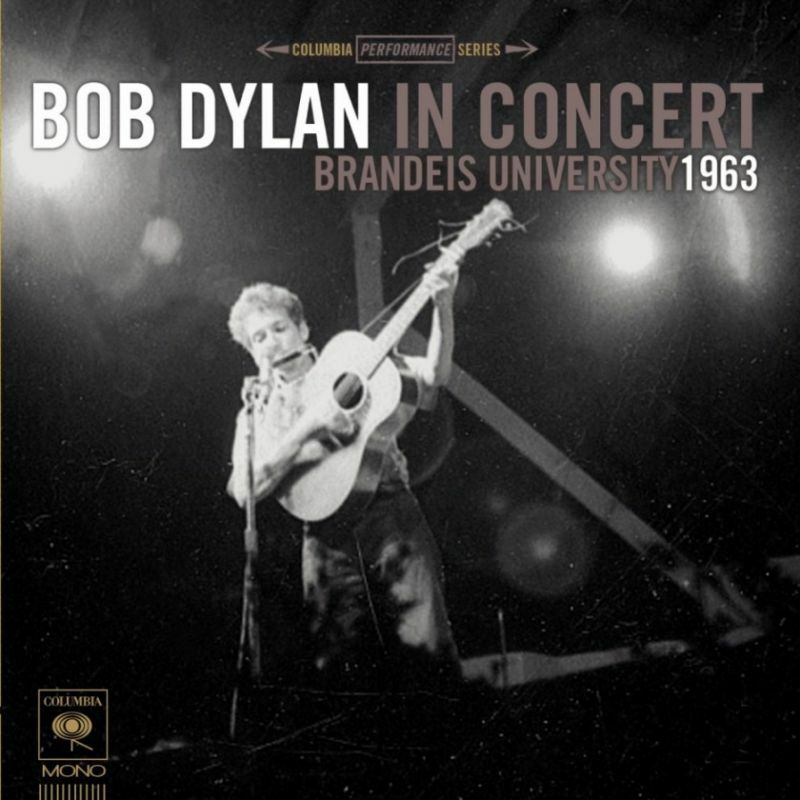 Dylan performs on the opening night of the two-day Brandeis University Folk Festival in Waltham, MA. His set immediately precedes the intermission, although he stays around for the statutory communal finale. Despite poor acoustics, he is well received. Doesn’t touch the incredible concert at NYC Town Hall, a month prior!! I wrote the sleevenotes for this album. It’s really the last official release we have of him just before he became properly famous. 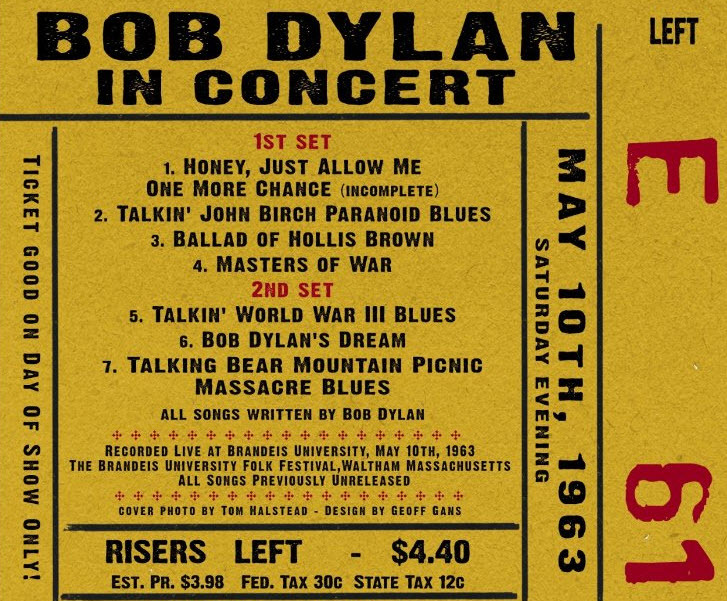 Two months later came the Newport Folk Festival at which he emerged as a star.